Of the 9 total Tibetan villages located inside the park boundaries, 7 of these are still active. Because the park is now a nationally protected treasure these villages no longer practice agriculture but most of these villagers make their money off tourism in the park. Sometimes referred to as the “Yellowstone National Park of China” Jiuzhaigou is one of the most beautiful national parks in all of China. But please be aware that in 2016 the park hosted 5.14 million visitors and most of these are Chinese nationals. June, July, August, and October Holiday (October 1-8) is especially the tourist high season and you can expect to encounter large crowds and long lines at the park in these times. As an American I feel these crowds take away from the natural wonder of the park and would try to avoid visiting the park in peak season times if at all possible. The fall foliage in September and October is spectacular in the park, with dramatic leaf colors of yellow, orange, and red, and we recommend visiting Jiuzhaigou in the off season between September 1 to May 15. After recovering from an August 2017 earthquake the park is restored and tourism is alive and active in this region. Jiuzhaigou is full of history and whimsy across its 9 villages and its breathtaking alpine lakes. According to legend, a goddess accidentally dropped a mirror and the mirror immediately broke into 108 pieces, forming 108 colorful lakes across the park’s ecosystem. 108 also happens to be a holy number in Tibetan Buddism as there are 108 teachings of Buddha and each Tibetan prayer rosary contains 108 beads to help practitioners remember these teachings. Each scenic spot here has it’s own unique legends and we recommend spending some time with a translator to hear some of these amazing stories from local villagers inside the park. Despite the high number of tourists that visit this park, the total population of the Tibetan villages in Jiuzhai Valley remains only at 1,000, with just over 110 families. While the valley was officially discovered by the government in 1972, the record of earliest human activities here dates back to the Yin-Shang Dynasty, somewhere in the period of the 16th – 11th Century B.C. Before the 1960s, Tibetans in Jiuzhaigou lived a fully self-sufficient life and were almost completely cut off from the outside world. Then in the 1970s, Chinese loggers discovered these rich forests and the park was soon throttled into the national spotlight as a mystical Shangri-La and a place of impressive wonder. Jiuzhaigou is one of the few areas on the Tibetan Plateau where this native form of Shamanism is still regularly practiced. 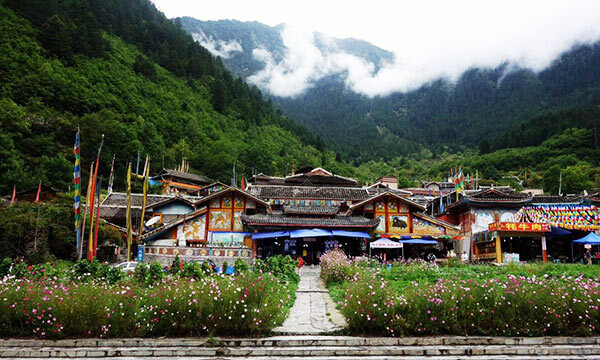 There are over 60 Bonbo monasteries in the Aba Tibetan and Qiang Autonomous Prefecture and Jiuzhaigou is right in the heart of this uniquely religious area. With religion deeply planted at the center of every Tibetan life, do not be surprised to find Tibetans practicing worship in the form of lighting butter lamps or hanging colorful prayer flags in auspicious locations to appease local deities and spread good karma. Tibetans will often make a pilgrimage to important spiritual locations in the mountains and rivers and will throw up small square white pieces of paper that in Tibetan are called Lungta. Lungta literally translates to “wind horse” and it is thought that these paper horses carry the prayers of those who throw them as they float on the wind across the landscape. If you see Tibetans spreading these lungta at holy sites you will also hear them cry, “Victory to the gods!” in Tibetan as they whoop and holler and celebrate these beautiful places. 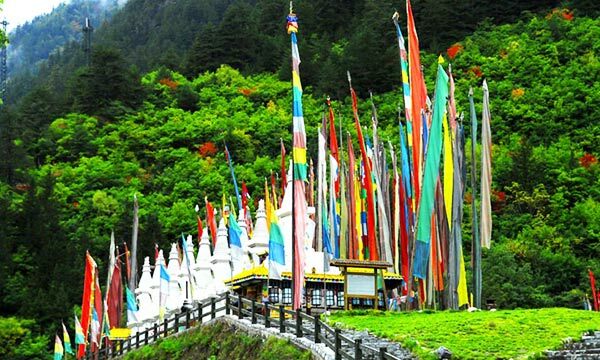 Part of the attraction of Jiuzhaigou is not only the beautiful scenery but the idea that this culture has remained so faithful to these teachings and practices for so many centuries. The Bonbo and Tibetan Buddhists worship and make sacrifices to spirits of the water and the land. You may also find vertical prayer poles in Jiuzhaigou. These colorful banners are called “Geda” in Tibetan which means the banner on the gate. These banners draw from a Mizong tradition from the central plains of China and are often seen dotting road to Jiuzhaigou as a symbol of peace and prosperity. The banners, clad in the 5 colors of the earth, can vary in length from 7 meters to 25 meters depending on the particular intention of the banner. Some of these banners are used as prayers for the yearly barley harvest while other banners are for instruction on the teachings of the Buddha Sakyamuni. But all the banners contain prayers which are thought to release prayers into the wind for the benefit of villagers who hoist them across the park . Another popular spiritual symbol you will find throughout the park is the Tibetan prayer wheel. Prayer wheels can be seen everywhere within the region. Some of these wheels are turned by water features like flowing rivers while others are turned by wind and still others (large and small alike) are turned by human hands. These wheels contain many small pieces of paper containing scriptures and it is thought that by spinning the wheels prayers of compassion are released for all sentient beings. About five hundred years ago, the father of Jiuzhaigou migrated to here from Ngari, Tibet. Since that time until now, the Tibetan villagers have coexisted peacefully next to many diverse peoples including the local Qiang, Huis and Hans. Today, the original Tibetan traditions are still a major part of village daily life, including traditions in marriage, funeral arrangements, and clothing, and dance. 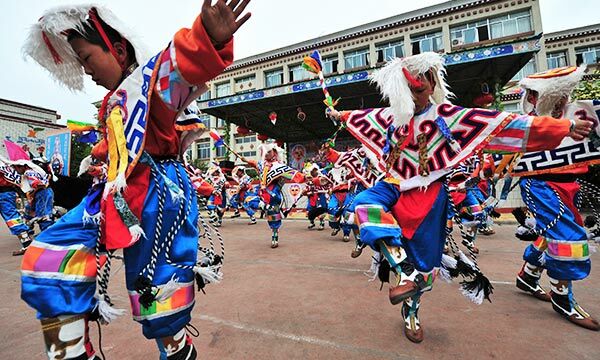 Seeing the colors and rhythms of a Tibetan circle dance is definitely one of the highlights of the visit to Jiuzhaigou. Tibetans also still consume traditional foods in Jiuzhaigou. 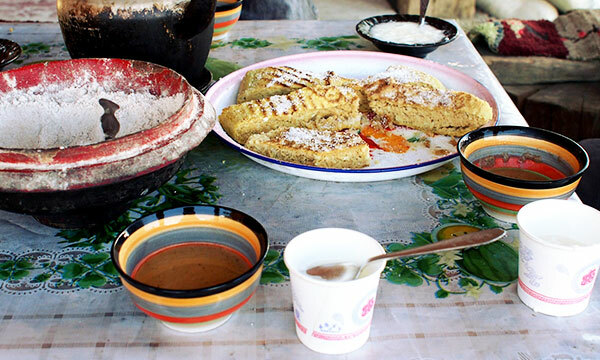 In particular you may get to sample some yak meat or freshly roasted lamb meat along with Tsampa, a powder made from barley flour and rolled into a playdough like ball and usually eaten for breakfast. You may also get to sample homemade Tibetan barley wine, know as Qiang, or fresh yak yoghurt depending on the season. We hope you enjoy your visit to Jiuzhaigou National Park! Look back at the top 20 list above, note the outcomes that you feel are most relevant to your organization, and contact Elevated Trips to discuss how we can transform your group into a more productive team. Each activity is followed by a “debriefing,” in which the group discusses such topics such as communication, trust, leadership, peer pressure, unity, responsibility, and accountability. Team building exercises offer students a new awareness of their own personal capabilities, allowing them to grow beyond their accepted role in the group and encouraging self confidence and a genuine concern for the well being of others. Don’t just go and take a photo to impress your friends on Wechat. We want you to come back from our trips with more than just pretty pictures. Elevated Trips wants our participants to be changed on the inside with broader minds, that are educated and enlightened. We don’t settle for riding a bus in a group tour and stopping at the touristy, commercialize sites. Our tours and treks are culturally immersive and full of wonder and life and even delightful spontaneous moments that can’t be squarely placed in a brochure. By immersing yourself in culture you begin to admire it in a new way that you can not as a mere spectator. We get off the beaten path where few foreigners have ever roamed. If you want to the see the world through the window of an air conditioned tour bus, Elevated trips is not for you. 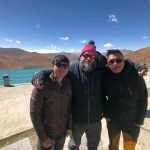 If you want to experience life through the eyes of a Tibetan living on the roof of the world, we will take you there in a way no one else can. Elevated trips. . . live it, don’t just see it. How do I schedule a team building event? Elevated Trips offers several options for team building. We offer a one day team building training where we leave for the mountains in the morning and then return by dinner time. We also offer a complete team building weekend package where we sleep 2 nights in a mountain lodge and have time for relaxation and a retreat from the big city. We would love to tailor make your itinerary to suit your company needs. 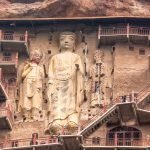 The Maijishan Grottoes (simplified Chinese: 麦积山; pinyin: Màijīshān Shíkū) are a series of 194 caves cut in the side of the hill of Maiji Shan in Tianshui, Gansu Province, northwest China. This example of dramatic architecture contains over 7,800 Buddhist sculptures and over 1,000 square meters of murals. Construction began in the Later Qin era (384–417 CE). The grottoes were first properly explored in 1952–53 by a team of Chinese archeologists from Beijing, who invented the scientific numbering system still in use today. Caves #1–50 are on the western cliff face; caves #51–191 on the eastern cliff face. These caves were later photographed by Michael Sullivan and Dominique Darbois, who subsequently published the primary English-language work on the caves noted in the footnotes below. The name Maijishan consists of three Chinese words (麦积山) that literally translate as “Wheatstack Mountain”. But because the term “mai” (麦) is the generic term in Chinese used for most grains, one also sees such translations as “Corn Mound Mountain”. Mai means “grain”. Ji (积) means “stack” or “mound”. Shan (山) means “mountain”. The mountain is formed from purplish red sandstone and the grottoes here are just one of many cave grottoes found throughout northwest China, lying more or less on the main trade routes connecting China and Central Asia. Maijishan is located close to the east-west route that connects Xi’an with Lanzhou and eventually Dunhuang, as well as the route that veers off to the south that connects Xi’an with Chengdu in Sichuan and regions as far south as India. At this crossroads, several of the sculptures in Maijishan from around the 6th century appear to have Indian—and SE Asian—features that could have come north via these north-south routes. The earliest artistic influence came, however, from the northwest, through Central Asia along the Silk Road. Later, during the Song and Ming Dynasties, as the caves were renovated and repaired, the influences came from central and eastern China and the sculpture is more distinctly Chinese. 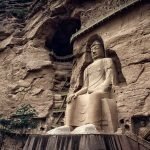 Cave shrines in China probably served two purposes: originally, before Buddhism came to China, they may have been used as local shrines to worship one’s ancestors or various nature deities. With the coming of Buddhism to China, however, influenced by the long tradition of cave shrines from India (such as Ajanta) and Central Asia (primarily Afghanistan), they became part of China’s religious architecture. Buddhism in this part of China spread through the support of the Northern Liang, which was the last of the “Sixteen Kingdoms” that existed from 304–439 CE—a collection of numerous short-lived sovereign states in China. The Northern Liang was founded by Xiongnu “barbarians”. 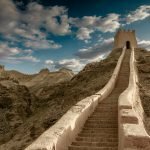 It was during their rule that cave shrines first appeared in Gansu, the two most famous sites being Tiantishan (“Celestial Ladder Mountain”) south of their capital at Yongcheng, and Wenshushan (“Manjusri’s Mountain” ), halfway between Yongcheng and Dunhuang. Maijishan was most likely started during this wave of religious enthusiasm. An English-speaking guide charges ¥50 for up to a group of five. It may be possible to view normally closed caves (such as cave 133) for an extra fee of ¥500 per group. The regular admission ticket includes entry to Ruìyìng Monastery (瑞应寺; Ruìyìng Sì), at the base of the mountain, which acts as a small museum of selected statues. Across from the monastery is the start of a trail to a botanic garden (植物园; zhíwùyuán), which allows for a short cut back to the entrance gate through the forest. If you don’t want to walk the 2km up the road from the ticket office to the cliff, ask for tickets for the sightseeing trolley (观光车; guānguāng chē; ¥15) when buying your entrance ticket. You can also climb Xiāngjí Shān (香积山). For the trailhead, head back towards the visitor centre where the sightseeing bus drops you off and look for a sign down a side road to the left. Sometime between 420 and 422 CE, a monk by the name of Tanhung arrived at Maijishan and proceeded to build a small monastic community. One of the legends is that he had previously been living in Chang’an but had fled to Maijishan when the city was invaded by the Sung army. Within a few years he was joined by another senior monk, Xuangao, who brought 100 followers to the mountain. Both are recorded in a book entitled Memoirs of Eminent Monks; eventually their community grew to 300 members. Xuangao later moved to the court of the local king where he remained until its conquest by the Northern Wei, when he, together with all the other inhabitants of the court, were forced to migrate and settle in the Wei capital. He died in 444 during a period of Buddhist persecution. Tanhung also left Maijishan during this period and travelled south, to somewhere in Cochin China, when in approximately 455, he burned himself to death. How the original community was organized or looked, we don’t know. “Nor is there any evidence to show whether the settlement they founded was destroyed and its members scattered in the suppression of 444 and the ensuring years, or whether it was saved by its remoteness to become a heaven of refuse, as was to happen on several later occasions in the history of Maijishan”. The Northern Wei were good to Maijishan and the grottoes existence close to the Wei capital city of Luoyang and the main road west brought the site recognition and, most likely, support. The earliest dated inscription is from 502, and records the excavation of what is now identified as Cave 115. Other inscriptions record the continued expansion of the grottoes, as works were dedicated by those with the financial means to do so. With a 1.5 hour drive from Lanzhou, the capital of Gansu, this is a very accessible day trip from Lanzhou. You could also do this trip as a larger itinerary that continues onto Labrang monastery or Hezuo and Langmusi as well which are in southern Gansu Province. The Bingling Caves were a work in progress for more than a millennium. The first grotto was begun around 420 AD at the end of the Western Qin kingdom. Work continued and more grottoes were added during the Wei, Sui, Tang, Song, Yuan, Ming, and Qing dynasties. The style of each grotto can easily be connected to the typical artwork from its corresponding dynasty. The Bingling Temple is both stylistically and geographically a midpoint between the monumental Buddhas of Bamiyan in Afghanistan and the Buddhist Grottoes of central China, such as the Yungang Grottoes near Datong and Longmen Grottoes near Luoyang. Sadly, over the centuries, earthquakes, erosion, and looters have damaged or destroyed many of the caves and the artistic treasures within. Altogether there are 183 caves, 694 stone statues, and 82 clay sculptures that remain. The relief sculpture and caves filled with buddhas and frescoes line the northern side of the canyon for about 200 meters along the reservoir. Each cave is like a miniature temple filled with Buddhist imagery. These caves culminate at a large natural cavern where wooden walkways precariously wind up the rock face to hidden cliff-side caves as if visiting an ancient civilizaiton. It is here at the top of these steps that you can view the giant Maitreya or Future Buddha that stands more than 27 meters, or almost 100 feet tall.This 100 foot tall Buddha is the main attraction to visit Bingling Temple and is certainly worth the trip from Lazhou. As you loop around past the Maitreya cave, you might consider hiking 2.5km further up the impressive canyon to a small remote Tibetan monastery. If you do this extra hike, be aware than there may also be 4Wheel drive ATV’s There might also be 4WDs running the route. The sculptures, carvings, and frescoes that remain are outstanding examples of Buddhist artwork and draw visitors from around the world. The site is extremely remote and can only be reached during summer and fall by boat via the Liujiaxia Reservoir. Boats leave from near the Liujiaxia Dam in Liujiaxia City (Yongjing County’s county seat), and sometimes also from other docks on the reservoir. The rest of the year, the site is inaccessible, as there are very few roads in the area because of the rocky landscape. You can hire a covered speedboat (which seats 9 people in total) for 700 RMB per boat for the one-hour drive across the Liujiaxia Resevoir. Boats do not run unless the boat is full of the required 9 people, so you may have to wait for other guests or you may have to pay the difference to cover the empty seats. In the peak seasons from May to October it should be no problem to find other willing Chinese tourists who will want to share the boat with you. In low season, though, you may have to wait 30 minutes or more for your boat to fill up. From Liujiaxia you can also hire a private car for around 300 RMB to take you to the other side of the reservoir, although most people opt for the boat since this gives a very nice view of the cliffs from the expansive reservoir. Out of Liújiāxiá, the road ascends the rugged hills of southern Gansu and winds above the reservoir. While the drive is quite scenic, if you are prone to motion sickness this is not the option for you as the drive is about 1.5 hours and twists and turns through terraced fields. The final descent to the turquoise reservoir, with its craggy canyon backdrop, is well worth the trip. You can also opt to stay overnight in Liújiāxiá if you want the overnight experience. Most people do Bingling Si as a full day trip, but the Dorsett Hotel at the north end of town is a good option with huge rooms overlooking the Yellow River. Most people hire a private car from Lanzhou, but if you are feeling more adventurous (and have some extra free time) you can take one of the frequent buses from Lanzhou’s west bus station that cost 20 RMB and take 2.5 hours to get to the Liújiāxiá bus station. From there, you will need to take a 10-minute taxi ( to the boat ticket office at the dam (大坝; dàbà). Try to catch the earliest buses possible from Lánzhōu (these start at 7am) to avoid missing the bus on the way back to Lanzhou. The last returning bus to Lánzhōu leaves Liujiaxia at 6.30pm at night. In 2006, the Chinese Tourist Administration listed Yadan National Park as a class 4A level scenic area and then it also became a base for scientific research, education, and geological study. Many Chinese war movies have been filmed here because of its remote location and unique desert formations. 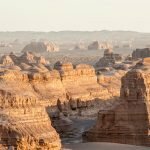 Here the the vast expanses of Gobi Desert meet with stunning red rock scenery in a haunting and breathtaking landscape that feels more like something from Mars than it does something from Earth. The park takes its name from it’s geological formations with the scientific name “Yardang”. This is a Chinese transliteration of that word and thus the Chinese characters, “Yadan”. Stretching 25km from north to south, the Yadan National Geological Park offers various landforms that take on distinct shapes, many of which mimic animals when viewed at the right angle. Some of these particular shapes include a Stone Bird, a Sphinx, a Golden Lion, and a Peacock. And if you use your imagination, you can even picture some famous structures like the Potala Palace in Tibet, the Heaven Temple in Beijing, and other famous pagodas and temples. Because of the remoteness of the park, the cell phone signal here is very poor and the government actually requires that tourists join a park bus tour in order to make sure visitors do not get lost in this vast park. There are four main stops in the park and the public park tour bus will take you to each one. As you stop at these points of interest, make sure you pay attention to the tourists in your group and do not stray too far as you will have fixed time at each stop before your designated tour bus continues on to the next stop. Here are the four main stops on the public bus tour. The last tour departs form the park entrance at 5:20pm so make sure you get to the park entrance at least by 4:00pm just to give yourself enough time to enjoy the tour. The Sphinx is the second attraction you will stop at in the park. Seeing it from a distance, this long, flat formation resembles a crouching lion with a face of a human being. This formation, like the Golden Lion before it, is a long, flat wall that has been carved out by weather and time. The Sphinx is composed of sandy and argillaceous debris and it is this loose rock which has been chipped away over time to give it is peculiar Egyptian-like shape. Ironically, as a geologic structure it is a bit of a transitional form between the first stop at the Golden Lion and the third stop at the taller, column-like Peacock. This rounded columnar yardang formation is the third stop on the tour and is probably the most elaborate of all the formations. The shape, as you might guess, looks like a peacock strutting its stuff as it is proudly fanning its tail open to attract a mate. This is the last attraction on the tour. The structure here is comprised of several layers of striated rock that truly looks like a fleet of ships floating in the boundless desert. This is a very impressive structure and really carries a certain regal nature, just like the command of a real fleet of ships. The Han Great Wall was built as a defense against the invasion of Xiongnu during the West Han Dynasty. Unlike it’s eastern cousin in Beijing, this section of the Great Wall was built using much different materials than the wide stone sections you may have seen in Mutianyu or Badaling. Due to the harshness of the environment and the lack of building materials available in the desert, the Han Great Wall was made from branches, reeds, sandy gravel and other local materials instead of masonry. There was a beacon tower exactly every 5 km to convey news and military information along the entire length of the ancient Great Wall. Today, this grand formation has been highly eroded and has lost much of its once exquisite detail after several millennia of exposure to the elements. But, with a little imagination, you might be able to picture what is was like back in the days of great Emperors. Yumen Pass was a primitive military post and part of a string of beacon towers that extended to the garrison town of Loulan in Xinjiang. Jade was imported from the Central Plains of modern day Xinjiang through this pass, so it was named Yumen Pass which means the “Jade Gate Pass”. Although it is not much to look at these days, in ancient times, Yumen Pass must have been a spectacular site filled with the noise and opulence of journeys of 1000’s of wealthy envoys and camel caravans. Yumen Pass is today a lonely square castle standing in the sandy rocks of the Gobi Desert. If you climb up to the tower for a view you will see a long line of scattered mashes, twisting ravines, and sections of the winding Great Wall dotted with tall and straight poplar trees. Most tourists hire a private car or van to take them on a day trip to Yadan National Park. But if you are looking to save money, it is possible to catch a public bus from Dunhuang as well. From the eastern gate of the main Shazhou Night Market in Dunhuang, you can take a long-distance bus to Yadan National Geologic Park. Two buses run each day and these buses are likely to stop operation in the winter and the low season. So if you are traveling between November and April you may need to hire a car to take you to Yadan National Park. If you don’t mind spending a little extra money it is recommended to hire a jeep or 4WD vehicle. Renting a jeep with a driver will allow your group to be able to get deeper inside the park and to explore more natural formations. The best time of year to visit is during th peak season of Yadan National Geological Park which ranges from May to October. Starting your trip in the early morning will allow you to have cooler weather and relatively quieter environment. Although the sunsets can be very beautiful in the desert, you will also find there may be more people in the late afternoon in the park. The daylight around noon can be very intense in Yadan National Park and there are very few shady spots to get out of the heat. So be sure to bring a good sun hat or umbrella and lots of sunscreen and cover your skin with clothing that has an SPF rating. In case of sandstorms in the park, you may want to bring some sort of scarf or face mask. According to legend, in 366 AD a monk named Yuezun had a vision of a thousand radiant Buddhas on the cliff face. This powerful vision inspired him to begin excavating the caves. From the 4th to the 14th century, hundreds of caves were then hand carved out of the rock cliff face containing scriptures, statues, and vibrant Buddhist paintings.Today almost 500 caves remain and there are more than a thousand painted and sculpted Buddhas within the caves which contain the world’s largest collection of Buddhist art. Excavated into a mile of cliff face outside Dunhuang, an oasis town at the edge of the Gobi Desert, the site’s Chinese name Mogao Ku means “peerless caves.” Indeed, these caves are “peerless” and are one of the largest and best preserved artifacts in all of Asia. The decorated caves’ walls and ceilings, have a total area of 500,000 square feet and are covered by elaborate paintings depicting stories of the Buddha, Buddhist sutras, portraits of cave donors, ornamental designs, and scenes of social and commercial life. The caves also contain more than 2,000 brightly colored clay sculptures of the Buddha and other important Buddhist scholars, the largest sculpture being over 100 feet tall. The settlement of Dunhuang was one of the first places where Buddhism entered China, through a steady stream of meditation, monks, and merchants who moved north and east from India along the Silk Road. As a major stop on the Silk Road, Dunhuang was a crossroads of Buddhist, Muslim, Hindu, and even Christian thought. Although this is an area of specifically Buddhist worship, the art and objects found at Mogao reflect the meeting of cultures along the Silk Road, the collection of trade routes that for centuries linked China, Central Asia, and Europe. Discovered at the site were Confucian, Daoist, and Christian texts, and documents in multiple languages including Chinese, Sanskrit, Tibetan, and Old Turkish. Even Hebrew manuscripts were found there. After the 15th Century, the caves lay forgotten and were buried by the sand of the Gobi Desert for many centuries until they were rediscovered by a monk. In the 1890s a Daoist monk named Wang Yuanlu appointed himself guardian of the caves. In 1900 he discovered a cache of manuscripts, long hidden in a small sealed up cave, coming upon one of the great collections of documents in history. Despite their great age, the sculptures and wall paintings in the Dunhuang caves remain remarkably well preserved, thanks in part to the dry desert climate and their remote location. As more and more archeologists investigated the cave over 50,000 ancient documents were found there. The Library Cave (Cave 17), which was unsealed by Wang Yuanlu, contained nearly 50,000 ancient manuscripts, silk banners and paintings, fine silk embroideries and other rare textiles dating from before the early 1000s, when this cave and all its contents were concealed for reasons still unknown. Shortly after this discovery, many of the objects from the cave were acquired at the site by explorers and archaeologists from the West and Japan.The materials found in the Library Cave offer a vivid picture of life in medieval China. Accounting ledgers, contracts, medical texts, dictionaries, and even descriptions of music, dance, and games were among the finds. Many of the objects found in the Library Cave can actually be viewed online now. Museums and libraries across Europe and Asia with objects from the Library Cave in their collections have digitized them and made them searchable for free via the International Dunhuang Project, based at the British Library. Don’t just go and take a photo to impress your friends on Wechat or Instagram. 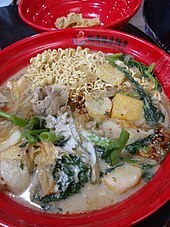 Malatang (simplified Chinese: 麻辣烫; traditional Chinese: 麻辣燙; pinyin: málàtàng; literally: “spicy numbing hot [soup]”), is a common type of Chinese street food that is especially popular in Beijing but can be found all over China. It originated in Sichuan Province, but the regional varieties differ mainly from the Sichuanese version in that the Sichuanese version is more similar to what in northern China would be described as hot pot. Malatang is named after its key ingredient, mala sauce, which is flavored with a combination of Sichuan pepper (which represents the “ma” or the numbing flavor) and dried chili pepper (which represents the “la” or the spicy sauce) . The word málà is composed of the Chinese characters for “numbing” (麻) and “spicy (hot)” (辣), referring to the feeling in the mouth after eating the sauce. Malatang is said to originate from the Yangtze River near Sichuan. In ancient times, boating was a big industry and many people made a living by towing boats. Working under the damp and foggy weather made boat trackers feel very sick. And when they were hungry, they cooked herbs in a pot and put Sichuan pepper and ginger into the soup to eliminate dampness. Malatang was created, then vendors discovered the business opportunity, and spread it throughout China. And now it is becoming an international food sensation. Unlike hot pot, which is made to order and shared only by diners at a private table, malatang originates from street food cooked in a communal pot. 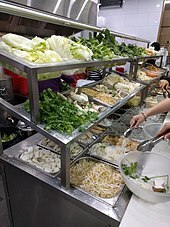 Diners can quickly pick their raw veggies and noodles and meats, and either eat on the spot or take away. In addition to largely being considered a street food in China, there have been many excellent chain restaurants that have sprung up in the last 10 years and these restaurants offer a great variety of sauces and ingredients (as you can see in the video above). Some malatang shops charge a flat rate per skewer and you can get as many skewers as you like, depending on how hungry you are. Typically a table with a big and flat saucepan is set up on the street, with a large number of ingredients in skewers being cooked in a mildly spicy broth. Customers sit around the table and pick out whatever they want to eat. Given the large number of ingredients available, normally not all ingredients are in the saucepan at the same time, and customers may suggest what is missing and should be added. All skewers normally cost the same. In Beijing as of June 2012 they cost one RMB each (or about 1/6 of a US dollar). Customers keep the used wooden sticks by their plates, and when a customer finishes eating, the price to pay is determined by counting the number of empty sticks. So there you go! I hope you get out into some local markets and try this amazing culinary delight! Step 6: Upon arrival, get off and exit to your destination. You may have heard that train travel in China can be a delightful adventure and this is absolutely true. My family recently took the train from Xining to Chengdu and we thoroughly enjoyed the journey in our private soft sleeper rooms. Our kids (ages 4 and 6) really loved the experience of being in their own bunk bed and looking out the window while the beautiful, lush Sichuan countryside passed by. The whole 14 hour drive was quite magical for them. The train in China is really a memorable experience – for adults and children alike. There are many times in our lives when we just have between 12-50 hours to relax, read a book, and watch beautiful dream-like landscapes through a train window. But there are a few things you need to know before you depart on your journey to make it a success (and not a stressful undertaking). Check the departure station carefully. Most cities in China have more than one railway station and they are often far away from each other (usually 30-90 minutes away on different sides of the city). It is recommended that you find out how to get to your station in sufficient time before your departure. And make sure you are going to the right station. If you are arranging a taxi or preparing to board a subway or bus to your train station, make sure you check with your hotel staff first or travel agency just to make sure you know exactly which station to get to and how to get there. If you accidentally go to the wrong station, you will find that the electronic boards do NOT show your train’s schedule at all (this is your first hint you may have gone to the wrong station). By the time you realize your mistake, you likely will not have enough time to transfer to to the correct station and you therefore will probably miss your train as it will take more than hour to transfer to the right departure station. If you miss your train, you can make an alteration at the ticket window in the correct departure station for the next train on the same day. The alteration is free of charge, and you will get a refund for the difference if the next train’s ticket is less expensive, or you will be asked for an additional payment if the next train’s ticket costs more. It is also important to correctly read the information for the arrival station. For example, the southbound train from Beijing will first reach Guilin North Railway Station (桂林北站) and then Guilin Railway Station (桂林站). So make sure you know which station you are getting off at. Getting off the train at the wrong destination can cause you to pay a penalty fare if you continue the journey too far, or require a trip across the city if you get off too early. If you have scheduled a pick up at your destination this may also cause a great deal of confusion with your party as they may be waiting and looking for you for hours at a station you are not at. Pay attention to the announcements on the train as they will tell you which station you have arrived at. If you take an overnight train, a member of staff will wake you up to exchange your sleeper card for your original paper train ticket about half an hour before arriving at your destination. Look at the arrival time for your train and set your alarm for 1 hour before that time. Sometimes trains arrive a few minutes early or late for their scheduled arrival times so make sure you account for this. Once the train stops you may only have one or two minutes to exit (especially if your train is continuing onto another destination). So make sure you are all packed and you have all your charging cords, electronic devices, and all your luggage all packed and ready to go. 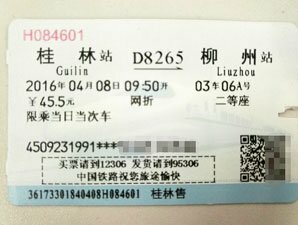 Get a visual idea of how to read China train tickets. Sometimes the excitement and anticipation of travel is half the fun, so make sure that you leave plenty of time to pack for your travel and get all those last minute items. Separate your belongings into large luggage and small carry-on items. Important things, such as travel documents, tickets, money, and valuable items should be kept on you at all times. Having a fanny pack, day pack, or purse is handy. The outside of train stations are notorious for pickpockets so keep your things close to you and always be mindful of your luggage and do not leave items unattended. Remember to put your tickets and passport away safely after the ticket checkpoints. If you lose these – your vacation will suddenly not be so fun. Packing light is important. You can find all kinds of tips about packing light on the internet and everyone has their own style of packing. If you are not able to lift your luggage above your head, the train stewards can assist you in this task. Often times, luggage can either be placed under your hard or soft sleeper bed or in a public overhead compartment (which has no lock or door). Therefore, it is important to have your luggage zipped up or closed securely using a combination lock. When taking an overnight train, you should consider taking flip-flops, bathroom supplies (toilet paper and a toothbrush), and perhaps earplugs and an eye mask. Take a book or an iPod to help pass the time. The total length of each item cannot exceed 160 cm, unless it is rod-shaped. The above limitation is not applicable to wheelchairs, which can be taken on to the train for free. 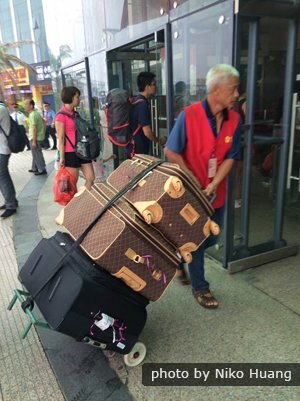 The limitations for luggage are not as strict as they are for airplanes. Senior travelers or passengers with excessive luggage can hire a porter at the station entrance — they are easily spotted as they wear sleeveless red jackets and red hats. The price is approximately 10 to 15 yuan. They will help to load the luggage onto the train. Beware of people that offer to help you carry your luggage who do not wear the official train uniform. These people will rip you off to carry your luggage only for a few minutes and they should be avoided. Arriving at a train station generally follows the same rules and processes that you would follow if you were to arrive at an airport. If you are not a fan of taking risks, it is always better to arrive early at the railway station (especially if you have to pick up your tickets at the station). Nobody likes waiting around, but we suggest that you arrive 2 hours before your train’s departure time. Some railway stations can be as vast as an airport and are situated a long way from the city center. It’s a good idea to leave your hotel or last activity in plenty of time in case of traffic, queues, crowds, or in the event of getting lost. Give yourself enough time to enjoy a relaxing journey. Usually 2 hours is enough, but the time can be reduced if going to a very small, local train station. The distances between the ticket office, security check, waiting room, and station platform can be quite long, and it is sometimes necessary to walk from one side of the station to the other. Remember that you are not doing this alone; there will be hundreds of people doing the same thing, meaning that you might be standing in waiting lines for a long time (especially around holidays and times of high-season travel such as Chinese New Year, October Holiday, and May Holiday). 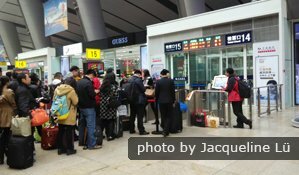 From the moment you arrive at the train station, you will likely need to be queuing in crowded lines (And remember- Chinese people do not always form or respect an orderly single-file line. So you may have to be a little aggressive to maintain your spot in line). At the station entrance you will need to pick up your ticket at the “ShouPiaoChu” or 售票处. This is often separate from the train station entrance itself and they may not allow you into the station until you have been to the nearby ticket pick up office to get your ticket. Here at the ticket pick up gate, you will have to stand in line (maybe a half an hour or more, unless you’ve used a ticket delivery service or got your tickets delivered in advance to your hotel), then pass through a ticket and ID check followed by a security check. After this you will need to locate and walk to your train’s specific waiting area, then, after a 10-15 minute walk through a busy station, will need to wait again in line at the waiting room ticket gate. Explore the train station if you get to the station early. No time needs to be wasted, even if you get there early. For first-timers, early arrival at the railway station gives you a good chance to explore the station and observe the locals. You can purchase some food or drinks at the shops so that you won’t go hungry during the journey. If you are traveling with kids, an early arrival gives you some time to calm them down and prepare for a good trip. Bear in mind that the station will stop the check-in facility 5 minutes before the train departs. So don’t lose yourself in the stores at the train station. You are recommended to get to the waiting room at least 30 minutes before the train departs (especially if you want to find a seat amidst 100’s of other passengers waiting for the same destination). All passengers and luggage are required to pass through a security check at the station entrance. Please prepare your train ticket and passport (or Mainland Travel Permit). You need to line up for the security check, just like at an airport. After the security check keep your passport and train ticket on your person, and don’t lock them in your suitcase, because you are going to need them for another ticket check or two when you board the train. There may already be a long line at the entrance so, as we have already mentioned, you are recommended to arrive at the train station early. After the security check, you need to find the right waiting room. A train station may have many waiting rooms for different trains. And usually the information on the screen is in Chinese only, although some screens display both English and Chinese. Look up at the large LED screens for your train number, and see which waiting room is allocated to your train number. Your train number is a letter with numbers displayed on the top middle part of your train ticket, such as G655 or D3201. 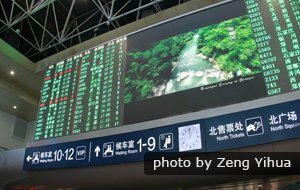 A large LED screen shows different trains’ departure schedules in rotation, so you might have to wait for the screen to change once or twice to see your train information. Usually the waiting room information shows the floor and room number, such as”2楼1候”,meaning ‘2nd floor 1st waiting room’. 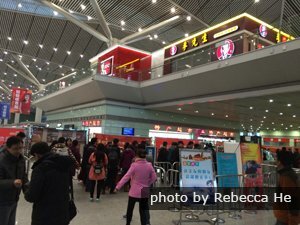 You could ask someone near you for help to get to the right waiting room, by pointing at your ticket then the LED screen, then saying, “Wǒqùnǎr?”(我去哪儿/wo choo narr/ ‘I go where?’), or read the Chinese yourself. A waiting room may not only have one platform gate (like in an airport). There may be several gates going to different platforms to board different trains, so don’t line up at the wrong gate.There are generally rows of seats either side of a gate’s lining up aisle. LED screens for each gate in each waiting room show different trains’ numbers, departure times, and platform information. 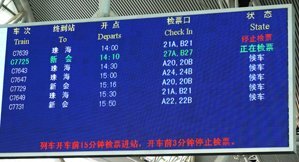 If you know Chinese, you can listen to the broadcasts for boarding information. Once you get to the right gate, generally, you can check-in with your train ticket 15 minutes before departure. Before you walk along the long corridors to the platform, look up at the LED screen for the last time and find your platform number. Look for your platform number showing which stairway to walk down to get to your platform. Check your train ticket for your car number (listed as: 车 on your ticket) as you descend to the platform. There will be staff at each train car door. You could show your ticket to a member of staff. He/she will check that you are boarding the right train car. The character 车 denotes your car number. 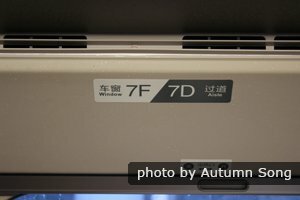 Once on the right car, find your bunk number (shown by 铺 on your ticket: 上 for top, 中for middle, 下 for bottom), or seat number (shown by 座 or “seat” on your ticket), usually displayed on the luggage racks around head height. 我搭这趟火车, 请问我的候车室在哪里? I am taking this train; would you please tell me where the waiting hall is? 我搭这趟火车, 请问我在哪个站台上车? I am taking this train; would you please tell me which platform I should go to? 我搭这趟火车, 请问我在哪个车厢? I am taking this train; would you please tell me which coaches I should board? 我搭这趟火车, 请问我的座位是哪个? I am taking this train; would you please tell me where my seat is? Different trains offer different services and facilities. High-speed trains are modern and comfortable, while normal speed trains may not be so convenient for foreign travelers. When taking high-speed trains, lettered G, D, or C, you can enjoy a more comfortable train journey. Seating: High-speed trains are fully air-conditioned. The seats are adjustable, just like seats on a plane, for you to sit comfortably. What’s more, there is a 220V AC socket under each seat for your devices. Food: High-speed trains offer different types of set meals (including Muslim food).You can go to the restaurant car to have a meal, where they offer made-to-order meals at 20 to 50 yuan per dish. Or you can buy a set meal from the attendant’s trolley. You can also go to the canteen bar to buy some snacks and drinks. Water: Free boiled/cold water is available between the coaches. Toilets: Chinese/Western-style toilets and handicapped restrooms are available between the coaches. However, the toilets have usually run out of toilet paper or don’t provide toilet paper in the first place. LED screen: Every coach with an LED screen indicates the speed of the train. Luggage racks: There are luggage racks over the seats at either side of a coach. You can take a 24-inch suitcase on board and place it on a luggage rack. There are some shelves between the coaches for large baggage. Shelves for large suitcases, suitable for a 70cm (28-inch) suitcase. Normal speed trains are not as convenient and comfortable as high-speed trains. If you have to take such trains, you are recommended to buy tickets for soft seats or hard/soft sleepers. If you choose to book the hard seats for your party, you should be prepared to sit next to a lot of Chinese men playing cards, making loud jokes, and smoking cigarettes all around you for long hours. The hard seats are slightly cheaper than the hard or soft sleeper beds but offer little in the way of privacy or cleanliness. Seating: Hard seats are not adjustable. There are no power outlets. Normal speed trains, apart from the oldest number-only ones, are fully air-conditioned. Food: Some trains don’t have a restaurant car, but most T and K trains do, and there is often a staff member who walks through the coaches selling somewhat overpriced simple small items, snacks, and drinks from a food trolley. Our suggestion is to purchase some simple food and drinks before boarding, such as a takeout from KFC or McDonald’s. Water: There is free boiled/cold water is available between each coach car. Make sure that the water is labeled as “drinkable” because all the other faucets on the train provide water that is NOT suitable for drinking. There are sometimes hot water kettles available in the soft sleeper cabins where you can store your boiled water in case you want to prepare some instant noodles or Starbucks VIA coffee. Toilets: Most trains only have Chinese-style squat toilets, which are usually quite wet and dirty. Some soft sleepers / deluxe soft sleepers have Western-style toilets which are a little cleaner. In either case, keep your bathroom expectations pretty low and bring lots of hand sanitizer and wet wipes. Never enter a bathroom without shoes as the floors can be quite wet and messy. Luggage racks: After you board the train, you can place your baggage on the luggage rack above the seats. If you are on a sleeper carriage, you can place your baggage on the opposite side of the berths, under the lower berth, or under the small desk in your compartment. Chinese people always buy snacks for short-distance trips and food for long-distance train trips. Generally, the food prices at the train station and on the train are higher than those in the outside restaurants or stores. If possible, you should take your own food or snacks. I have some friends that always prepare a nice bottle of wine and some imported cheese and crackers for their journey and think this is a great practice. With a little preparation, the train ride can be a fun little traveling picnic! Shops or fast-food chain restaurants around your hotel or city center, such as Subway, KFC and McDonald’s. You can buy the food in advance then go to the train station to board your train. You have more options if you prepare the food in advance. The platform at the train station. When the train stops at a station, you can get off the train to buy some food. There are vendors selling local dishes or more simple food. You will find food like boiled corn cobs and tea-flavored boiled eggs. But make sure you only take a few minutes as you do not want the train to leave without you! There is a dining car on long-distance trains that is open to all passengers and this area sells snacks, beer, and soft drinks. There is a canteen bar on high-speed trains. Try to go there as early or as late as possible because it will be very crowded at meal times. The dining car offers prepared and heated packed meals and the prices range from 15 to 45 yuan. Railway attendants take trolleys through the cars frequently and you will hear them yelling by your cabin. There are packed meals at meal times and each one is about 25 yuan. The Chinese meal includes rice, meat, and vegetables. You can buy instant noodles too (which almost all the Chinese eat). There is free boiled water on each car. At other times, the attendants also sell drinks, snacks, packed fruit, and some toys for kids. 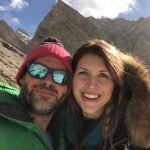 Train travel in China is a fairly safe and standardized process, especially when compared to traveling in India or Nepal. Yet good advice never hurts. When you are traveling with young children, keep them close by your side and keep an eye on them. Don’t allow kids to run up and down the train coach/platform, or lose them in the station. Beware of pinching fingers in the (automatic) doors. Hold onto the hand knobs and rails while walking inside the coach. The bathroom floor can be slippery (and sometimes a little nasty), so be careful in there. Don’t leave your valuable belongings unattended. There is a power socket under the seat (on high-speed trains) or on the small table (on non-high-speed overnight trains), which can be used to recharge your devices. Never leave your valuables unattended. When taking an overnight train, keep your carry-on items close to your body. Your passport and ticket should always be kept with you. If you are planning to take a train during your China trip, please see our recommended tours below for inspiration. You can enjoy hassle free travel with Elevated Trips. All you have to do is arrive in the train or plane station and we take care of everything else. If you have more questions on train travel, do not hesitate to contact us here. 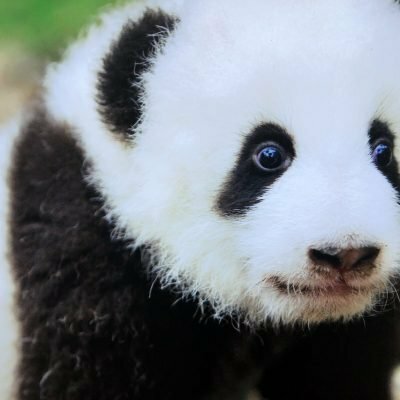 The giant panda (Ailuropoda melanoleuca, literally “black and white cat-foot”) has a very cute name in Chinese: 大熊猫; pinyin: dà xióng māo. This literally means “Big bear cat”. The giant panda is also known more commonly as the panda bear or simply panda, and is a bear native to south central China, particularly the lush bamboo forests of Sichuan Province. It is easily recognized by the large, distinctive black patches around its eyes, over the ears, and across its round body. The name “giant panda” is sometimes used to distinguish it from the unrelated red panda. Though it belongs to the order Carnivora, the giant panda’s diet is over 99% bamboo. Giant pandas in the wild will occasionally eat other grasses, wild tubers, or even meat in the form of birds, rodents, or carrion. In captivity, they may receive honey, eggs, fish, yams, shrub leaves, oranges, or bananas along with specially prepared food. 10. The first panda came to the United States in 1936—a cub to a zoo in Chicago. It took another 50 years before the States would see another. 9. A newborn panda cub is 1/900th the size of its mother and is comparable to the length of a stick of butter. 8. A panda’s paw has six digits—five fingers and an opposable pseudo-thumb (actually an enlarged wrist bone) it uses merely to hold bamboo while eating. 7. Of all the members of the bear family, only sloth bears have longer tails than pandas. 6. 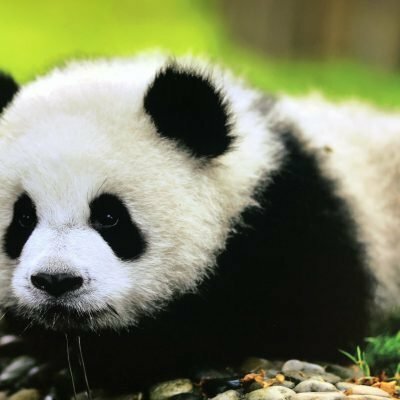 Pandas rely on spatial memory, not visual memory. 5. Female pandas ovulate once a year and are fertile for only two or three days. 4. The giant panda’s genome was sequenced in 2009, according to the journal Nature. 2. Historically speaking, pandas are one of the few animals whose parts have not been used in traditional Chinese medicine. 1. Approximately 99 percent of a panda’s diet—bamboo leaves and shoots—is void of much nutritional value. 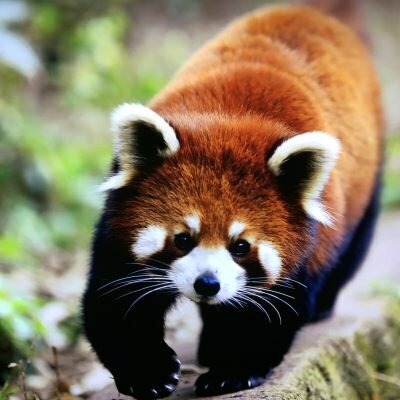 Its carnivore-adapted digestive system cannot digest cellulose well, thus it lives a low-energy, sedentary lifestyle but persists in eating some 60 species of bamboo. Pandas must eat upwards of 30 pounds of bamboo daily just to stay full. Also the cost to ride the park’s golf cart shuttle is an extra 10 RMB/ seat. The Panda Base is quite big and you will find yourself walking 5-10 km in a course of 3 hours to fully explore the entire site. If you are traveling with young kids, have a disability, or are just short on time you might want to think about taking the shuttle as it will save you about 1 hour of walking. Be aware that you are only allowed on 2 trips total for the shuttle (one out from the gate and one directly back to the entrance gate). Generally, you buy the shuttle tickets right after the entrance to the park and the park shuttle takes you to the furthest point in the park. From there you can get off and make your way slowly by foot back down to the entrance as you explore the various Panda exhibits. At any point when you are ready to exit, you can jump back on the shuttle and it will take you directly back to the main entrance. Do not get back on the shuttle until you are ready to exit as the shuttle does not transport you from one exhibit to the next. There is a Bank of China ATM hidden to the right of the entrance. The park gate Accepts Wechat and Alipay and Chinese Yuan (or RMB). 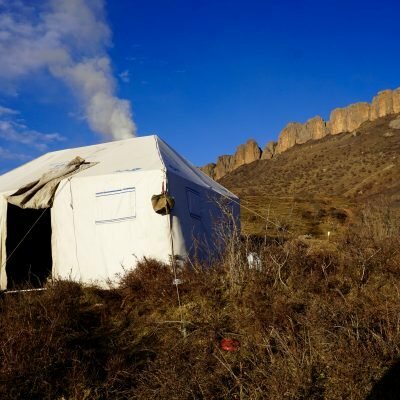 What is it like to sleep in a Tibetan nomad tent? 西宁 Xīníng (Standard Tibetan: ཟི་ལིང་། Ziling) is the capital of Qinghai province in western China and the largest city on the Tibetan Plateau. As of the 2010 Chinese census, Xining had 2,208,708 inhabitants and, as such, is a modern city that offers plenty of fast food restaurants and shopping including H&M, Sephora, UniQlo, Kentucky Fried Chicken, Pizza Hut, and Burger King restaurants (not to mention a fair share of knock off brands that imitate these same restaurants). The city was a commercial hub along the Northern Silk Road’s Hexi Corridor for over 2000 years, and was a stronghold of the Han, Sui, Tang, and Song dynasties’ resistance against nomadic attacks from the west. Although long a part of Gansu province, Xining was added to Qinghai in 1928. Xining holds sites of religious significance to Muslims and Buddhists, including the Dongguan Mosque and the Kumbum Monastery (aka Ta’er Monastery 塔尔寺 ）. The city lies in the Huangshui River valley and is surrounded by 3,500 meter mountain ridges on both the north and the south. Owing to its high altitude, Xining has a cold semi-arid climate. It is connected by rail to Lhasa, Tibet and connected by high-speed rail to Lanzhou, Gansu and Ürümqi, Xinjiang. The Xining XNN Caojiapu airport does not directly serve international destinations but this airport can easily be reached, often in 2 hours, from Beijing, Shanghai, Guangzhou, Chengdu, Xian, Lhasa, and most other Chinese cities. The climate in Xining is characterized as having an arid climate with little rain and has plenty of sunshine; it is dry and windy in spring, and has a short summer season and a long and cold winter. While the winters are generally below freezing for 4-5 months, the dry climate in the rain shadow of the Himalayas yields little snow and, on any given day in winter, most travelers experience cold air and brilliant blue skies. Xining is known around China as the “Summer Capital” or 夏都 because it makes a great place to escape the sultry summer heat of Beijing, Shanghai, Chengdu, Guangzhou, Wuhan, Hong Kong, and other southern cities with high humidity and heat. As the gateway into Tibet, Xining has a continental climate with highland features. The average annual temperature is about 6 degree Celsius year round. In the coldest months (January and February) the temperature may drop to -15 degree Celsius, and in the summer it is always less than 20 degrees Celsius. A popular route through Xining is fly to Xining XNN from Chengdu CTU airport and then take the train to Lhasa (the highest railroad in the world) for the stunning landscapes and to aid in the acclimatization to altitude. Because few people have ever heard of Qinghai Province most people use Xining as a gateway city to get into Lhasa and spend little time in and around Xining city itself. This means that there are still many astounding, wild places in and around Xining and most of these places have never been seen by western or Chinese tourists. There are, in fact, several 5,000 and 6,000 meter mountains in Qinghai Province that have never even been climbed or named. 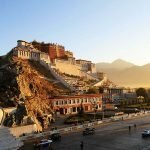 This makes Xining a perfect destination for people looking for authentic Tibetan culture without all the hassle of Tibet Travel Permits and the bureaucracy of Lhasa, Tibet. 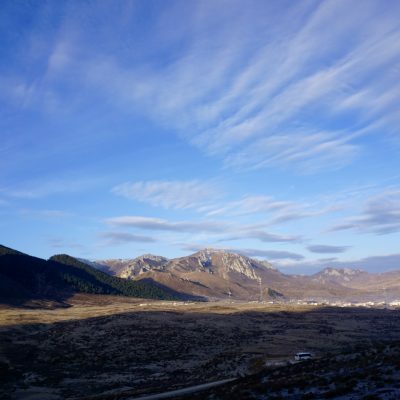 To acclimate to any adventure into the Tibetan Plateau, we recommend spending a night in Xining, at 2,300m above sea level, and this will help partially in your acclimatization process. To truly do your health and wellbeing a favor, it is best to spend 3-5 days in Qinghai’s capital and surroundings so that you are ready to tackle Lhasa’s 3,600m of elevation with greater ease. While Xining is a typical medium-sized Chinese city with cement high rises and dime-a-dozen convenience stores that all sell the same products, it also offers a whole lot more character than your average all-Han Chinese city. After over 8 years of travel on the Tibetan Plateau, I have three suggestions for day tours from Xining that will not only take your breath away but will give you the time and space to help you acclimatize properly before you head into the high regions of Tibet. Located just a 45 drive from Zhangye town, one of the most impressive landscapes you will ever see is that of the Zhangye Danxia Landforms (elevations range from 1,500 – 2,500m), one of China’s many UNESCO sites. Usually a 6 six hour drive in a private car, I recommend taking the 2 hour high speed train from Xining 西宁 to Zhangye West station 张掖西 and spend a day in the area. The Danxia Landforms, also known as the Rainbow Mountains or 七彩山 , is a mountain range layered with almost all the colors of the rainbow （or at least distinct shades of reds, yellows, purples, greys, and oranges). The magnificent patterns in the hills were formed from the land’s red sandstone bedrock and the passing of time with erosion and uplift. Danxia is perfect for photography enthusiasts and lovers of hiking. Take the afternoon to soak in the scenery and admire this UNESCO World Heritage Site. Just a 20 minute drive from the Zhangye Danxia National Park is the lesser visited (but equally as beautiful) BingGou National Park. The small monastic town of Rebkong (Tongren 同仁 in Chinese) sits 2.5 hours from Xining at 2,500m above sea level and is a great option for a one to three day trip outside of Xining. Rebkong is home to some of the most famous thangka paintings in Tibet and its artwork is highly valued not only on the Tibetan Plateau but by Buddhist practitioners around the world. After a stroll through Rebkong’s two most famous temple complexes, Rebkong Longwu Monastery and Wutun Monastery, you can watch 17-year old teenagers painstakingly produce some of Tibets’ most colorful and detailed paintings. Qinghai Lake (3,200m), China’s largest inland lake, is one the first landscapes you will spot from the train to Lhasa, but to truly experience it, take a day trip or multi-day trip from Xining. 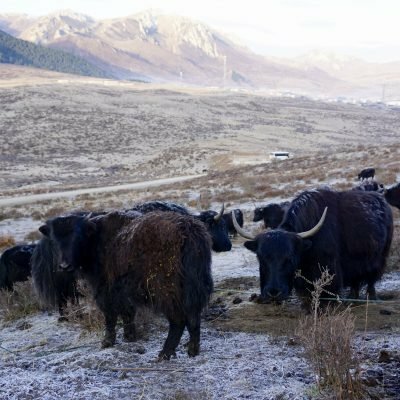 The lake is famous for its sweeping natural scenery, abundant birdlife and nearby grasslands that are home to traveling nomadic Tibetan tribes and roaming yaks. You can go biking (though take it slow at the high altitude) or have a champagne picnic by the lake’s shores as you watch the waves lap against the beach shore. Qinghai Lake is 150km (80 miles) from Xining and about a 2.5hr drive. But please be aware: in the summer months (June, July, August) this is a MADHOUSE of Chines tourism and if you go in these months you are sure to see 1,000’s of Chinese tourists descending upon the lake every day and you are likely to spend a few more hours sitting in traffic than normal because of the immense amount of visitors this spot receives. I personally recommend if you are going to visit Qinghai Lake – do it in the winter. There is no one else around for miles, the hotels are much more affordable, and the slowly crashing chunks of frozen ice, circling the lake for over 300km, hold an enchanting beauty in the eerie quiet of the winter. The Tibetan name Zö/Hzö གཙོས། is pronounced Dzoi in Standard Tibetan and pronounced Hdzoi/Hdzu in the local dialect. Zö is the traditional name for a Tibetan Ibex and you can see statues of this animal throughout the town. Hezuo is the capital city of Tibetan Autonomous Prefecture in southern Gansu Province. Standing at the junction area of Gansu, Qinghai and Sichuan provinces, it is the hub of nomadic activity of the central plains region and the Amdo Tibetan region. And it is also the center of commerce between historical Tibetan and Chinese trading. Located at the northeast edge of the Tibetan Plateau, Hezuo is 276 kilometers south of Lanzhou. The city contains many large hotels and every sort of restaurant you could hope to find in a middle-sized Chinese city. There is no railway running from Lanzhou to Hezuo, however, regular buses are available every day from Lanzhou every 35 minutes from 05:50 to 16:04. It takes about 4 to 5 hours by bus to get to Hezuo and the ticket fee ranges from 37.5 RMB to 49.5 RMB depending on the departure time. Hezuo’s main attraction is the 9-story Milarepa Temple. It is said that there are only two temples of this kind in the whole Tibetan area, and the one in Hezuo is the only one which has nine floors and is dedicated to a primary founder of Tibetan Buddhism, Milarepa. Milarepa is one of the few saints who is thought to have attained enlightenment in one lifetime. He is often pictured as very thin and bony (as he was meditating and fasting in a cave for most of his latter years) and with his hand to his mouth as he would often sing his lessons and teachings to his disciples so they could better remember his ideas. 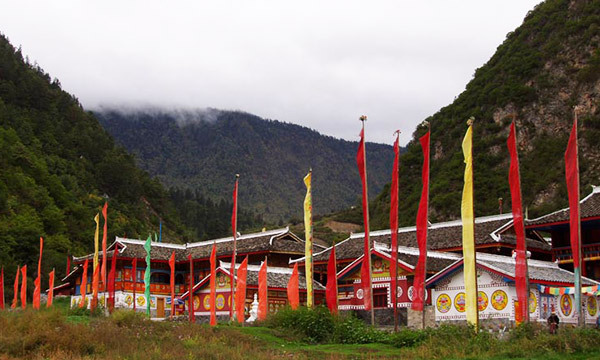 The Milarepa Temple is about 40 meters high and was originally built in the Qing dynasty. There are perennial resident monks and lamas studying here and if you have the time, spend an afternoon watching them perform their ritual duties, including burning juniper and lighting incense. 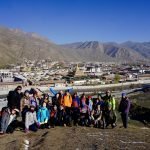 There is also a very nice pilgrimage around the entire monastery that can take around 30-45 minutes to complete if you are up for a leisurely stroll with Tibetan Buddhist pilgrims. Once you have finished this walk, you can also meander over to Folk Street and Century Square which are a short walk from the monastery complex. It’s worth a rickety climb up the steep wooden steps of the nine floors not only for the artifacts but also for the decent view of the city from the top. A nice monk who oversees the grounds may invite you into his office for tsampa and tea if you speak a bit of Chinese or Tibetan and have a little free time. The Old Town of Lijiang is located on the Lijiang plain at an elevation of 2,400 meters in southwest Yunnan Province, China. The Jade Dragon Snow Mountains are to the northwest and this incredibly scenic and snowy range is easily viewed as you take a leisurely stroll through time in the old quarters of Lijiang. These mountains are the source of much snowmelt that supplies the rivers and springs which water the plain and supply the nearby Heilong Pool (Black Dragon Pond) and the classic canals that wind through the old town of Lijiang . The Old Town of Lijiang contains 3 main areas and you could easily spend 1-2 days getting lost amidst the cobblestone streets and antique coppersmiths that give this area its characteristic charm. These 3 areas include: Dayan Old Town (including the Black Dragon Pond), Baisha Old Town, and Shuhe Old Town. Dayan Old Town was established in the Ming dynasty as a commercial center and includes the Lijiang Junmin Prefectural Government Office; the Yizi pavilion and the Guabi Tower. Numerous two-storied timber-framed houses combine elements of Han and Zang dynasty architecture and decoration in the arched gateways, screen walls, courtyards, tiled roofs, and carved roof beams are representative of the Naxi culture and are built in rows following the contours of the mountainside. Wooden elements are elaborately carved with domestic and cultural elements – pottery, musical instruments, flowers and birds. Baisha Old Town, though, was established earlier than the Dayan Old Town sector. Baisha was built during the Song and Yuan dynasties and is located 8km north of the Dayan Old Town. Houses here are arranged on a north-south axis around a central, terraced square. The religious complex includes halls and pavilions containing over 40 paintings dating from the early 13th century, which depict subjects relating to Buddhism, Taoism and the life of the Naxi people, incorporating cultural elements of the Bai people. 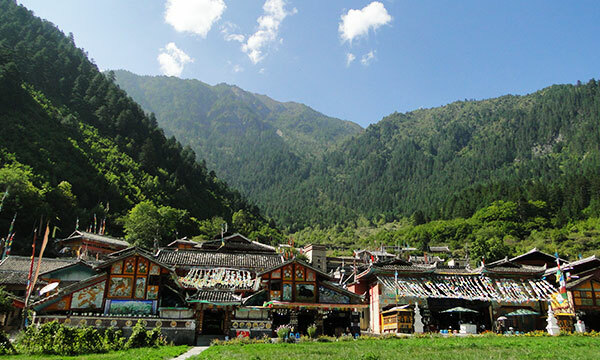 Together with the Shuhe housing cluster located 4km north-west of Dayan Old Town, these quaint mountain settlements reflect the blend of local cultures, folk customs and traditions over several centuries. You can even see the local tile work depicted on the courtyard floors of the homes representing bats, cats, and other animals thought to scare away local spirits. The local Naxi people still walk barefoot over these intricate tile floorscapes, feeling every ridge and crest of the hand laid tilework in what they call “a free foot massage”. The colorful village space, the delightful sounds of the water, the outstanding folk art and calligraphy and the old style of the local architecture all make for a very pleasant environment that will leave you with a deep feeling of peace in this gem hidden among the mountains. Tiger Leaping Gorge, set to the backdrop of the majestic Jade Dragon and Haba Snow Mountains of China, is one of the deepest gorges in the world. The Jingsha (aka Yangzte) River flows through its beautiful 16km length, nestled between towering cliffs that have an incredible 3,900 meters in vertical drop from the top of Jade Dragon Snow Mountain to the surging river below. At its narrowest point near the mouth of the river, a large rock sits midway across the water. According to a local legend, a hunter was chasing a tiger down through the gorge and the tiger jumped across this chasm to this rock to escape the hunter’s arrows. The following itinerary was accomplished by a group of 40 middle school students (and believe me these guys travel pretty slow). So, I imagine if these middle school students can do this itinerary, you can too. The entrance of the gorge is the small city of Qiaotou, located at 1,900 meters above sea level. The upper hiking trail (which is the one you want to take) will bring you up to 2,650 meters high (at the end of the 28 bends) before going down to Tina’s Guesthouse at 2100 meters high, which is the end of the trail. Afternoon- hike up the infamous “28 Bends”. Most of the Tiger Leaping Gorge trek is relatively flat as you are walking along a path cut sideways across the vertical rock face. However, this particular section is the exception. It is not terribly long but you can expect to gain most of your elevation on the whole hike on this section. There is a small store about half-way up the bends if you need water or snacks. 11:30am- Depart Halfway House as you make your final descent down the Tiger Leaping Gorge trek. 1:30pm- Arrive Tina’s Guesthouse for lunch. 2:30pm- Depart for Shaxi or Lijiang or Shangrila. 5:30pm- Arrive at hotel and settle in. Langmusi, at 3,345 meters in elevation, is a town that is known for it’s rich Buddhist culture and it’s amazing scenery, tucked away in the crags of 5000 meter mountains. It would be very easy to spend at least 2-3 days here in this quaint wonderland. 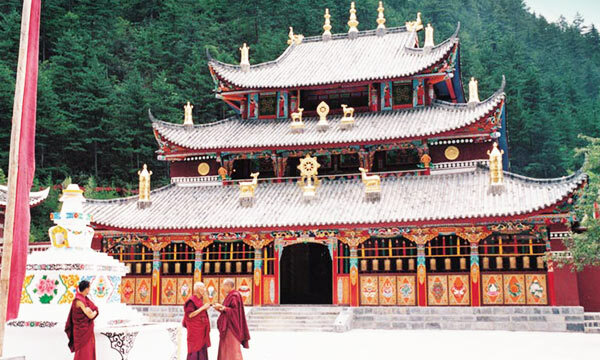 The two main temples in Langmusi are the Kirti Monastery, located on the southern Sichuan side, and the Serti Monastery, located on the northern Gansu side of town. Serti is certainly the more lavish of the two monasteries as it receives some of its funding by the Chinese government, and the monastery in turn supports China’s appointed Buddhist spiritual leaders. Serti, the cleaner and more prestigious of the towns’ two monasteries, shines under the high altitude sun with brilliant golden roofs and is often undergoing major renovations and expansion upgrades. Kirti Monastery, on the other hand, receives no funding from the government. Consequently, Kirti maintains an older, more organic feel as it’s temples are made wood, mud, aluminum, and cement. The roofs lack the loud colors and glam that adorn the Serti Monastery. Most of the Kirti side is comprised of the slightly tattered but humble living quarters of all the monks who reside there. But, while being a bit more toned down than neighboring Serti Monastery, I’ve found that most of the Tibetan pilgrims that walk and prostrate for months when traveling to Langmusi all go to Kirti, not Serti. In fact, most of the major gatherings of lamas and monks happen at Kirti despite its more rustic character. 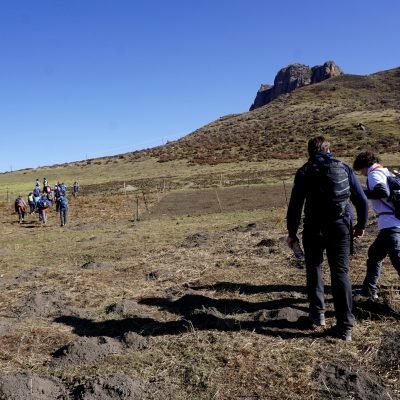 Regardless of personality, both monasteries are certainly worth a visit and it is a fantastic experience to walk alongside the pilgrims who have come from 100’s of miles all around the grasslands to land and worship in Langmusi. Walking through Kirti Gompa and up the valley, you will reach the start of Namo Gorge. You have to pay 30Y at the entrance to the monastery, which gets you access to the monastery itself and the gorge, but it is possible to bypass this if you walk up the road to the right of the ticket office, up and over the hill and down to the start of the gorge. Once you pass the cave, you will walk alongside the White Dragon River for about 10 minutes until you eventually come to the spring that the river emerges out of. From this point continue up the dirt trail another 20 minutes to another gorgeous open grass valley. This is about as far as most tourists get, so if you continue in the canyon to your right up the fork, you will virtually have the whole gorge to yourself. It is possible to walk for a considerable distance into the gorge and mountains beyond, being surrounded by amazing scenery and peace and quiet. Eventually the trail (if you keep just staying right ) will take you along the side of some brush and over the top of a tableland known as “Huagai god Mountain”. From this view among the sharp rocks of the peak at 4,200 meters you get an excellent view of both Langmusi town and the wide open grasslands. The hiking in this gorge can be anywhere from 20 minutes to 8 hours. There is really enough here for any level of adventure seeker! Walking in the other direction from the village – towards the main road – one encounters an interesting sandstone formation or mesa whose top is accessible. To access this, just look up to the Red Rock formations immediately outside of town, and walk a street about 1km out into the open pastures at the bottom of the mountain. From here wind up through an old sheep trail to get on top of the red rock cliffs. The hike up from town is about 2-3 hours and the Prayer flags here on the top are around 3,700 meters. 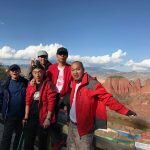 There is a great view looking back on the Gansu side of Langmusi town and this makes for a great half day hike and an excellent picnic ground. One of the town’s must-do activities is the horse trekking. Langmusi offers anything from 1 to 3 day horse treks where you can stay with real Tibetan nomads in their tents. The guides on all their trips are professional and experienced. Liyi, the owner at the horse trekking place speaks excellent English and is a great resource for any questions or tips about Langmusi. They also do biking trips and bike rentals. You can go to the grasslands by yourself with the bike or organize an amazing two-day homestay bike trip directly through them. They also own the Black Tent Cafe across the street – which is highly recommended for a little coffee, cake, or for their smoothies. Please beware that the information below might be disturbing to some. A sky burial is where the deceased Buddhist is hauled up a mountain, adorned in prayer wrappings, and left to be taken by the birds. After the birds do most of the work, the body is chopped up and burned. For many Tibetans, a sky burial is an entirely natural and beautiful way to go (and is often considered as a last act of compassion in giving one’s body to nature). I tend to agree and would much rather have a sky burial than be put in some box in field of other boxes. That said, visiting a sky burial site not long after a burial is quite an experience. If you walk up past the left side of Serti Monastery, you’ll eventually come to a clearing near a hilltop (ask any local around Serti and he or she can point you in the right direction). The clearing has two boxes of axes and knives, prayer flags, and a pile of ashes. Once the birds are basically done with the main job, the remains are burned. However, not everything makes it into the fire, which means the site is literally littered with skulls, hip bones, and other various bits and pieces. We’d come only days after a burial, so some of the bones even had flesh and skin still on them. I know it sounds gross, but if you’re curious about this sort of thing, I’d say this is a must see, as chances to experience this sort of thing don’t come around too often. Langmusi is a sleepy village in a remote breathtaking location predominantly inhabited by a colorful mix of Hui Muslims and Amdo Tibetans. It is said that the provincial borderline runs through the middle of town with Sertri Gompa in Gansu and Kirti Gompa located in Sichuan. The power struggles between the two Gompa may have been the reason for the border location. Both temples have distinct styles making both well worth the visit alone. The surrounding mountains give off a very much alpine flair reminiscent of rural Austria or Bavaria and perfect for hiking and horse trekking. While there are continually construction projects in all seasons (as in virtually every Chinese town, down to the tiniest backwater), much of the money that tourists bring in appears to be going to renovating and improving Tibetan temples and meeting places, or into local businesses catering to the seeker of Tibetan culture. At this point [October 2015], the village has developed a budget-friendly backpacker vibe, not unlike Shaaxi village in Yunnan province. Yet, even in high season [the height of the October holiday, and after the swarming hordes of Jiuzhaigou], tourists are relatively few, and this is very much an active religious community with many monks and initiates to be seen walking the roads and playing behind the major monastery. The monks and students are not shy, happy to have a chat in Chinese and to a lesser extent English, and deeply appreciative of even the most basic Tibetan greetings (‘tashi delek’ means “Hello”). The majority of the visitors to this town are Han Chinese, and few if any make the effort to learn any Tibetan phrases. There is only one bus every day from Xiahe direct to Langmusi leaving at around 7:40 a.m. (Dec 2014) from the Xiahe Bus Station. 72Y. If you miss this bus, or if you can’t get tickets, you can take any early morning bus to Hezuo (1 hour from Xiahe) and then take one of the Hezuo（合作）buses to Langmusi. There are a couple buses from Hezuo to Langmusi each day. There definitely is one leaving at 10:20AM. When you get to Hezuo, you will need to take a taxi across town to the South Bus Station (Nan Zhan – 南站) where the buses leave for Langmusi. If you were thinking of hiring a car to take you directly from Xiahe to Langmusi, be ready to pay a lot of money. It will cost you at least ¥350 to hire a car for the trip. The bus is only ¥ 71 per person. If you do end up taking a taxi, be sure to ask to take the “scenic route.” The road is a little bumpier than the new highway, and a takes a little longer, but you pass beautiful grasslands, mountains, and tibetan villages along the way. There are also direct buses to Zoige (Ruo’ergai) in northern Sichuan. There is currently no direct bus to Songpan but the situation may change, as a new highway was completed in 2007. 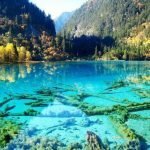 You can also catch a bus in Jiuzhaigou to Langmusi. There are multiple buses leaving every morning between 7am and 8am. The bus will let you off on the main road outside of Langmusi, not actually driving into town, leaving you with a 1+ km walk, or there will be cars around to get you into town (for a few yuan). To get out of town up towards Xiahe, there is only one afternoon direct bus a day. 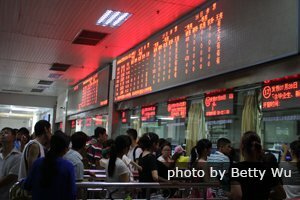 You can get morning buses to Hezuo, then a cab to the West Bus Station, then catch a bus to Xiahe. There are many buses to Xiahe each day.